WOW!! PARKRIDGE TURNKEY FOR THIS UNBELIEVABLE PRICE!! Get your hands onto this GREAT QUALITY AS WELL AS VALUE package. 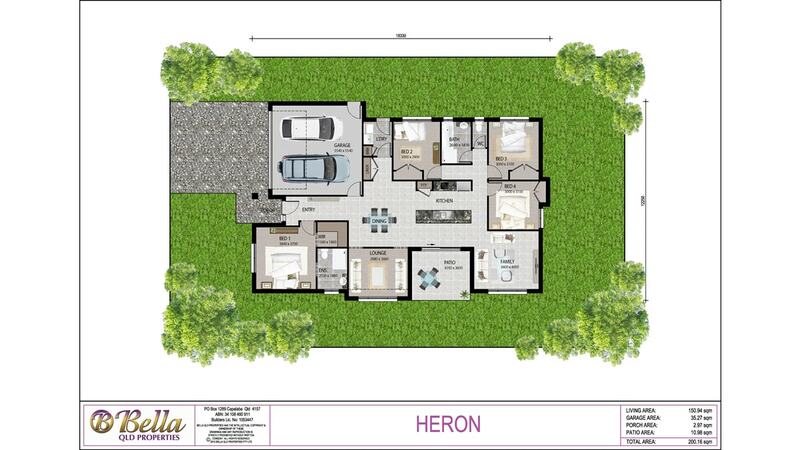 Featuring a Bellaâ€™s custom designed â€œILUKAâ€ 200.15m2 home that offers 4 bed, 2 bath, 2 Living and 2 car, packaged with a 439m2 block, LOT 6 near BUMSTEAD RD, WILDWOODS GROVE, PARK RIDGE. This area is booming!, and situated within the continuing growth corridor with the vital implementation of infrastructure. Close to schools and shops. It comes with BELLAâ€™S Innovative Series TURNKEY inclusions for only $425,107.60. First home owners only pay $410,107.60 with the first home owners grant!. Donâ€™t delay on this one, you can start living in your beautiful home as soon as possible.